Preston have decided against offering contracts to striker Iain Hume and defender Shane Cansdell-Sherriff. Hume ended the season on loan at Fleetwood, while Cansdell-Sherriff has joined Burton after spending much of the campaign with the Brewers. 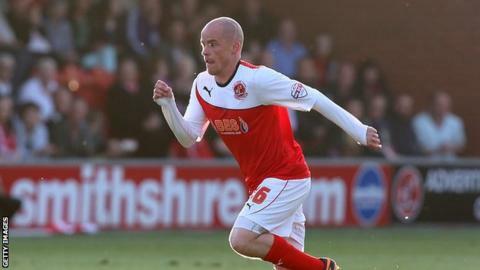 Both were involved in the League Two play-off final at Wembley on Monday, which Fleetwood won 1-0. North End told six players they would not be offered new deals at Deepdale earlier this month. But they delayed their decisions on Hume and Cansdell-Sherriff until after the play-offs had concluded. Canada international Hume, 30, joined Preston permanently in January 2011 after a successful loan spell and scored 24 goals in 80 games for the Lilywhites, including two in 20 outings during 2013-14. Australia-born Cansdell-Sherriff, 31, signed for North End in the summer of 2012 but played just 22 times for Preston. He revealed before Burton's play-off defeat that he was set to sign a permanent deal with the Brewers.